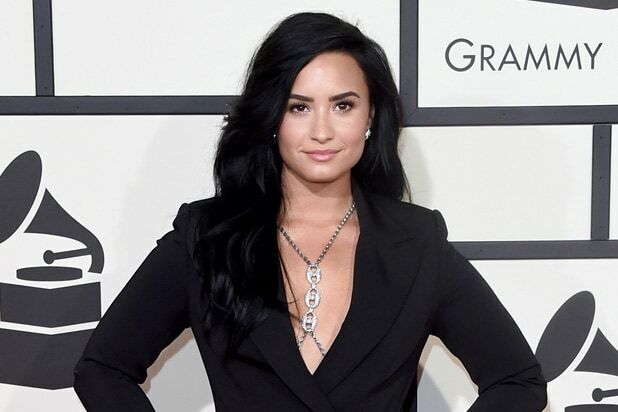 Demi Lovato is “awake and with her family” after being hospitalized in Los Angeles following an apparent overdose, the singer’s rep said Tuesday. TMZ first reported the news of Lovato’s overdose, saying that the pop star was treated with Narcan — an emergency treatment for narcotic overdoses — after a heroin overdose at her home in the Hollywood Hills. However, an individual familiar with the situation later told TheWrap that heroin was not the cause. Lovato is currently being treated at a local hospital. A spokesperson for the Los Angeles Police Department told TheWrap that LAPD responded to a medical emergency Tuesday morning at the 8000 block of Laurel View Drive in the Hollywood Hills — which is the area where Lovato resides. An official at the Los Angeles Fire Department confirmed to TheWrap the incident involved a 25-year-old woman. Last month, the 25-year-old singer revealed via her new track “Sober” that she had relapsed after fighting substance abuse for years. She previously lived in a sober living home after leaving rehab and had been sober from alcohol, cocaine and Oxycontin addiction for six years. Lovato’s most recent performance was with Iggy Azalea at the California Mid-State Fair in Paso Robles, California, on Sunday. According to TMZ, Lovato was scheduled to leave this week for an upcoming show in Atlantic City. A representative for Lovato did not immediately respond to TheWrap’s request for comment. 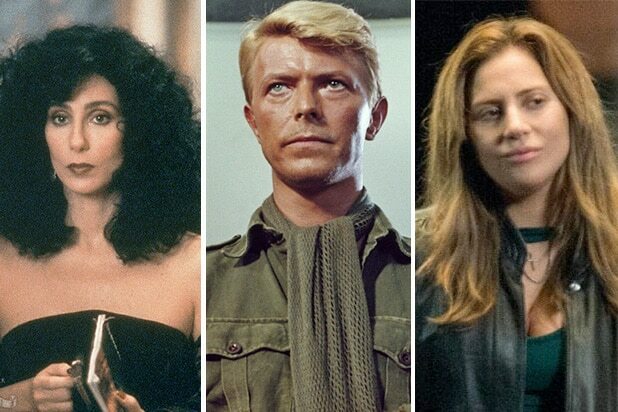 Scroll through for TheWrap's look at pop stars who have made the leap to film. The pop icon started her music career as half of Sonny and Cher in the 1960s. The two starred in "The Sonny and Cher Comedy Hour" in the '70s, and then Cher broke into a solo music career before pursuing acting in the '80s. It was a good career move. She was nominated for a Best Supporting Actress Oscar for her work in "Silkwood" and won the award for Best Actress for her role in "Moonstruck." Smith started his hip-hop career as part of the duo DJ Jazzy Jeff & The Fresh Prince. He starred on the sitcom "The Fresh Prince of Bel-Air" for six seasons before becoming a box office titan in titles like "Men in Black" and "I Am Legend." And -- oh, yeah -- he's been nominated for two Oscars. Sinatra became an icon for his music, but his career was far from limited to singing. He won an Oscar for his performance in "From Here to Eternity" and has dozens more film acting credits. Hudson starred in her very first film with Beyonce Knowles in "Dreamgirls" as Effie White. The performance landed the "American Idol" alum an Oscar for Best Supporting Actress, launching her multi-hyphenate acting and singing career. Marky Mark ditched that moniker after his TV movie debut in "The Substitute" in 1993, which helped him pivot onto the big screen with roles in films ranging from the iconic "Boogie Nights" to "Transformers: The Last Knight." And yes, he's got two Oscar nods under his belt to boot. Born Dana Elaine Owens, Queen Latifah broke onto the music scene in 1988 with her single "Wrath of My Madness." Later, her single "U.N.I.T.Y." earned her her first Grammy. Latifah broke into acting in the 1990s, and her performance in 2002's "Chicago" snagged her an Oscar nomination for Best Supporting Actress. In spite of the fact that she largely sticks to music, Queen Bey's transition from the recording studio to the movie studio hasn't been too shabby: She made her movie debut in "Austin Powers Goldmember" as Foxxy Cleopatra. In 2006, she starred as Deena Jones in "Dreamgirls," for which she nominated for Best Original Song at the Golden Globes. The former NSync singer has continued his solo music career in tandem with several movie projects. Timberlake was recently nominated for best original song at the Oscars for "Can't Stop the Feeling" in "Trolls" -- for which he also voiced a lead character. He's done comedy -- as in "Friends With Benefits" with Mila Kunis -- and drama, as in "Inside Llewyn Davis." But his best film role is arguably as Silicon Valley bad boy Sean Parker in 2010's Oscar winning biopic "The Social Network." The pop singer (born Stefani Germanotta) made a splash with her film debut, Bradley Cooper's remake of "A Star Is Born," earning an Oscar nomination for Best Actress. But was it really such a stretch to play a rising-star singer? Moore's breakout movie might be "A Walk To Remember," but she's also starred in rom-coms like "Chasing Liberty" and "Because I Said So." She is the voice of Rapunzel in Disney's "Tangled," and has been nominated for Golden Globe and Teen Choice awards. She currently stars on NBC's "This is Us." Jenny from the block has made herself known as a triple threat. She starred as the late iconic Tejano singer in "Selena" in 1997, and since has gathered several movie and TV credits, including for the critical hit "Out of Sight," opposite George Clooney. David Bowie was undoubtedly one of the world's biggest rock stars, but he also had a wide-ranging acting career. From eclectic films like "The Man Who Fell to Earth" to more serious movies like the World War II drama "Merry Christmas, Mr. Lawrence," Bowie showed his acting chops. He had a strange and unforgettable cameo in David Lynch's "Twin Peaks: Fire Walk With Me" and also starred in Jim Henson's 1986 family fantasy "Labyrinth." Kravitz has several acting credits, from comedies like "Zoolander" to dramas like "Precious" and "The Butler" -- to pop culture sensations like "The Hunger Games." Chris Bridges, aka Ludacris, joined the "Fast and Furious" franchise in 2003 as Tej Parker after already establishing himself as one of the most popular hip-hop artists of the early 2000s. The former One Direction band member is one of the desperate British troops stuck on "the mole" in Christopher Nolan's new World War II movie "Dunkirk," an Oscar nominee for Best Picture. Styles does a great job, but one movie makes it hard to judge his future acting success. The pop icon acted in several movies throughout the '80s, '90s and '00s, and even moved into directing. She was quite good in "A League of Their Own," but she also starred in "Swept Away," which won Madonna and the picture Worst Actress of the Decade and Worst Movie of the Decade at the 2010 Razzie Awards. Another stinker that helped land her low on our list: the widely panned 1993 psycho-sexual thriller "Body of Evidence." The princess of pop's foray into acting was short lived -- for good reason. Her 2002 movie "Crossroads" won her Worst Actress at the Razzie Awards. It was enough to take her off any path to silver screen success.